The Barber National Institute holds “Ready, Set, Ride!” each summer to help children with disabilities learn to ride a two-wheeler. • What do you want your child to accomplish this summer? What skills and lessons would you like to be reinforced? • Are you interested in a continuation of his/her educational program? If you are responding yes to this question, you would want to first consider if your child is eligible for Extended School Year (ESY). Based upon your child’s IEP, he/she may be eligible for a part-time or full-time program throughout the summer.
. Intervention focuses on the development of social skills within peer groups. Participants have fun as they learn to cope with challenges, manage emotions and make good decisions. Check out our website if you would like further information on this program, which is offered in Erie, Warren, and Meadville, Pa.
• Are you interested in a recreational program? Some camps are designed for children with special needs and are usually highly skilled in dealing with children with behavioral challenges. Other camps include children with special needs interacting with their typical peers. If you’re in Erie County, we hold the recreation program “Camp Shamrock” for children with autism and other disabilities. • Day camp or overnight camp? There are overnight camps that offer stays by the week, month, or all summer. 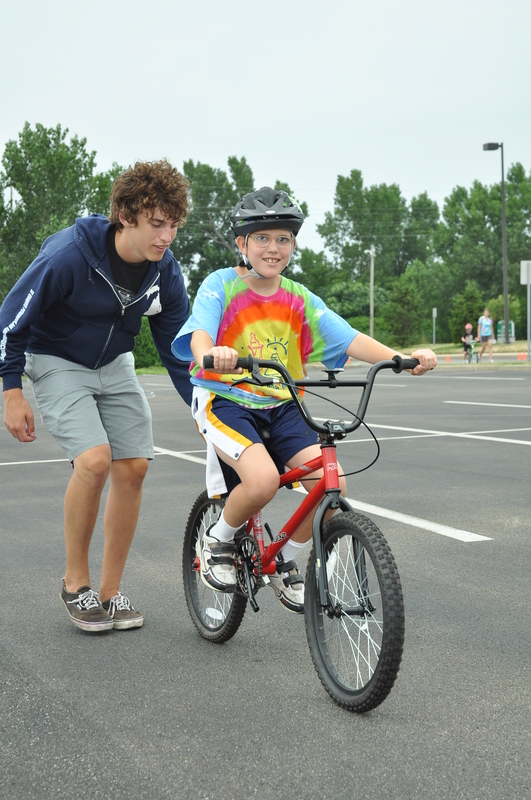 Some overnight camps are specifically designed for children on the autism spectrum. • Will you be in need of childcare before/after camp hours? Some camps do offer extended day coverage. • What does your child enjoy? Does he/she have a passion for music, computers, zoo animals, nature or sports? This could lead you in a specific direction. • If possible, engage your child in this discussion. He/she may have specific ideas as to what summer should look like, and summer will be a win-win for you and your child. The special needs of your child do not have to keep him/her from participating in a summer camp or program. Do some research – talk to schools and organizations in your area to find a program that fits your child’s needs. My next blog will discuss some specifics as you search for the “right” program for your child. Last summer was my son’s first time at a “Day Camp” and I wanted to do this to fill the gap between Preschool and entering junior Kindergarten. He was just about to turn 4 and it was an integrated camp. He loved it so I booked him for this year. They have a fun approach with lots of learning opportunities in routine similar to school but with tons of fun sensory experiences. He would come home wet, messy but with a gigantic smile on his face. I am going to reblog this to my followers because you offer great advice. Cyn, you are right. The very best way of knowing whether it is the right camp for your child is the smiles on his face when he goes to camp or talks about camp. I know one family shared with me that the first week their child was very nervous/anxious about going to camp as this was his first experience. By the end of the week he was jumping out of the car as his mother dropped him off. Another parent shared with me that our Camp Connections was the first time their child every had friends. They only wished camp could go all year long. I am glad that you found my advice helpful. Summers can be long but Summer Camp is a great way to provide FUN and social learning opportunities. Here are a bunch of great tips about finding the right camp or program for your child whether he or she has Autism or not.